This article was written in late August 2013 and originally published in issue 258 of PC Gamer UK. 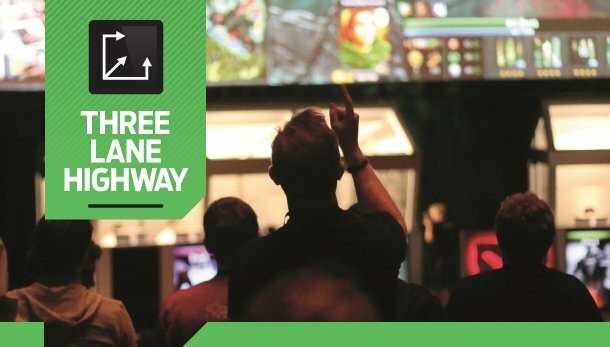 I’ve been thinking about my experience at The International 2013 since watching Valve’s Dota 2 documentary, Free To Play. As a companion piece to today’s Three Lane Highway column , then, we thought we’d make the following available online. It takes the five members of Alliance ten minutes to move around Benaroya Hall’s curved mezzanine to the off-limits corridor that leads to their private balcony. They are surrounded at every step by fans, pushing up against windows and leaning over tables to sign T-shirts and mousemats. Their manager, Kelly, alternates between apologetic determination and abrupt for-the-camera enthusiasm as she attempts to shepherd five sudden celebrities into a single doorway. A few hours ago the Swedes beat Natus Vincere (Na’Vi) in the upper bracket final, sending the Ukrainian-Estonian-German team to face Malaysia’s Orange E-Sports at the top of the lower bracket. The three remaining teams in the tournament are guaranteed, at this point, $287,438, $632,364, and $1,437,191 respectively. Between $10,000 and $20,000 is considered a major prize in competitive Dota. When Alliance won Season 5 of China’s G-1 Champions League, they pocketed $40,200. The seventh and eighth-place finishers at The International take more than that. None of the players I meet seem concerned about the money. The answer I am always given is that it’s simply not why they’re here. There is no physical template for a Dota professional. That can’t be said for tennis stars or NASCAR drivers or hundred-metre sprinters, all of whom are separated from the audiences they entertain by equipment as well as by innate and acquired physical supremacy. In traditional sport, the wall between exceptional players and the rest of us is tangible. It is made of time, talent, money and muscle. In e-sports the talent is invisible and the fame that results from it settles differently on every player’s shoulders. The professionals milling around in the lobby of Benaroya Hall play the same game as everyone else, but they are shaped by it in a way that is specific to them. Specific, even, to their generation. The youngest player at The International is 17, the oldest 29. There is no precedent in sport or elsewhere for what they do for a living, how long it should last or what it ultimately means. In the private communal areas where players congregate they divide themselves by language, nationality, and a highschoolish network of friendships. Every player in the room is talented and hyper-competitive but they collectively fit no other template. There are jokers and serious young men who talk in low voices about ‘the business’. There are troublemakers who drink until 4am and the players for whom competitive Dota was one branch on a path that also included traditional sport. It comes back to the competition. The International is the most important measure of a team’s performance in a given year, and for each player it’s an opportunity to be the best in the world at something. So no, they’ll say. The money doesn’t matter. The International 2013. Orange Captain Chai ‘Mushi’ Yee Fung is the most versatile player in the tournament, playing 18 different heroes over the course of a week. It’s the kind of talent that earns deep respect from the audience, and it does not go unnoticed. In September, Mushi will announce that he is moving to China. The first game runs long, but Orange are the playmakers. Mushi’s Queen of Pain is dominant, his glass-cannon mobility matched by Weaver, Nature’s Prophet and Nyx Assassin with Naga Siren as a safety net. They take the first game, but settle into a slower, safer rhythm for the second. Na’Vi pick up the Siren and Weaver for themselves, and, back in their comfort zone, end the game in less than 25 minutes. The deciding match lasts more than double that. 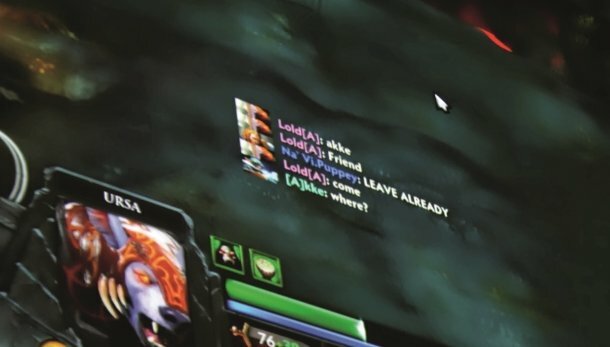 Long games of Dota are often resolved by single plays, usually crucial teamfight victories or successful attempts on Roshan, a powerful computer-controlled creep that drops an item, the Aegis of the Immortal, which grants a player a chance to respawn instantly in the field. Orange opt for the latter, but the moment Roshan falls a single miss-click by Lee ‘kYxY’ Kong Yang destroys the Aegis rather than claiming it. The line goes that it was the most expensive single click in competitive Dota, and afterwards kYxY is visibly devastated. He posts a Facebook update from his phone. Na’Vi are loved by the crowd. It’s hard not to love them, or at least not loving them feels like lapsing into the role of a stodgy police commissioner demanding his maverick star detective’s badge and gun. They play loose, creative Dota and respect no law. Sometimes they win through staggering imagination and skill and sometimes they seem to surf a wave of luck and bravado. Either way, they win games. Their captain, Clement ‘Puppey’ Ivanov, always appears to be about to smirk. He’s known for his strategies and it is safe to assume at any given time that he is planning something. He is a constant presence in the lobby and at the signing table. In-game he takes a commanding support role assisted by Kuro ‘KuroKy’ Salehi Takhasomi with Gleb ‘Funn1k’ Lipatnikov in the offlane. The team carry is Oleksandr ‘XBOCT’ Dashkevych. On paper, his job is to farm gold and experience in the opening stages of a match in order to give his team a powerful advantage later on. The first time I meet him he claims to be from Paris and also to be adult film actress Sasha Grey: you get the impression that there’s somewhere else he’d rather be, and in-game this manifests as aggression above and beyond what is expected of his role. It was Na’Vi that sent TongFu to the loser’s bracket. They did it by using a trick called ‘fountain hooking’ – a combination of powers that sends an enemy flying into a ‘friendly’ safe zone where they are destroyed. It was hard not to feel for TongFu. They played well, but were forced to respond to tricks that are alien to the professional scene. But that’s what Na’Vi do. They win games, and are loved. In Benaroya Hall that love takes the form of a pair of pounding monosyllables: “Nah vee! Nah vee!” The only other teams that receive the same support are Dignitas and TeamLiquid, Americans and the de facto home side – and in their case, the chant is “USA! USA!” Na’Vi are what the crowd would want from an American team: they are confident, independent, and comfortably exceptional. Something of the generational quality of e-sports is expressed in the sound of a thousand Americans bellowing their support for young people whose parents grew up in the former Soviet Union. Alliance wear slate-grey winter jackets with patches on their shoulders that make them look like ski instructors or an indie band that happens to be sponsored by a company that makes expensive mice. Loda pulls a short ponytail back through a trucker’s cap and has grown out his stubble, presumably to indicate his veterancy. He has been part of the scene for almost a decade, and I ask him if he worries about his reaction times as he gets older. “I’ve just been waiting for the day when I feel like I’m starting to get worse,” he says. “But this year I feel like I’m actually improving. I guess when I go downhill I will stop, and I will look to do something else – but I will always want to be involved in the scene.” Loda is 25. Alliance have been playing together for a year, with Loda as their carry. He has been friends with Joakim ‘Akke’ Akterhall since high school, and the partnership between the two is as old as European professional Dota. Akke and Jerry ‘EGM’ Lundqvist form Alliance’s supporting foundations, providing the early-game advantage that enables the team’s remaining two players, Gustav ‘S4’ Magnusson and Henrik ‘AdmiralBulldog’ Ahnberg, to establish map control. Alliance’s style of Dota is sometimes described as conservative, but it’s better understood in terms of efficiency and built-in redundancies. Their backup plans have backup plans. If Bulldog’s lane collapses, EGM and Akke will buy him time to farm up elsewhere. If Loda, EGM and Akke are under pressure, Bulldog will knock down towers until the enemy is forced to respond. Alliance have the ability to both vanish off the map and be everywhere at once, and they are unflappable. If Na’Vi are freestyle kickboxers, then Alliance are patient masters of Judo. The way they approach training reflects this. The grand final is a best-of-five, and it begins with a mistake. The talk in the lobby is that Puppey has been holding something back. That ‘something’ turns out to be a bizarre draft of heroes that gambles heavily on winning the game immediately. It’s a disaster, and Alliance take them apart in 15 minutes. There is visible discomfort in the Na’Vi booth, and the crowd is subdued. Na’Vi’s comeback is resolute. Both teams respect each others’ star players enough to ban their signature heroes instead of generally-feared characters like Batrider and Io. This means, unusually, that these heroes are played in every game – Na’Vi would rather deal with them than face Bulldog’s bear, and Alliance feel the same way about XBOCT’s Lifestealer. In game two, Dendi takes Batrider to midlane while KuroKy supports as Io, and Alliance are outmanoeuvred. The game ends a Na’Vi victory after 20 minutes. Puck is a showman’s hero, a grinning dragonling that can teleport, phase out of existence, pin groups of enemies down, silence them and escape to do it all again. The return of Alliance’s confidence is visible. They play like Na’Vi, for a game, and for the first time an International grand final reaches a 2-2 stalemate. Benaroya Hall seems to contract around the teams on stage. Over half a million people are watching online. Na’Vi start strong in game five. 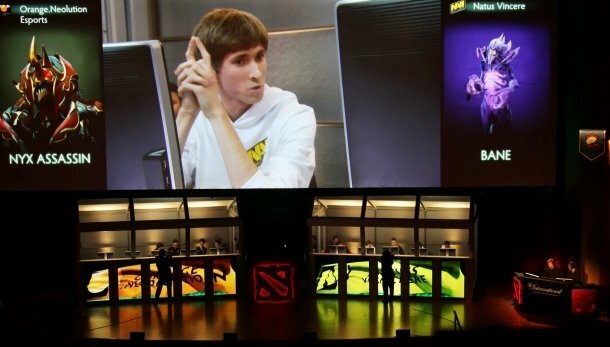 Dendi plays Templar Assassin, the hero that holds the record for the most kills in a professional game – his record. Puppey is on Enigma, arguably his best hero, and XBOCT’s Alchemist has been a core part of every Na’Vi victory in the final. KuroKy’s Rubick helped to win them game three and he resumes that role. Funn1k takes Batrider this time, almost for luck. The teams crash together in teamfight after teamfight, but Na’Vi have the edge. Alliance have Io and Chaos Knight on EGM and Loda, a combination that is feared for its mobility. Bulldog is Nature’s Prophet – like Io, a hero that can teleport – and Akke plays Crystal Maiden, a fragile support that helps secure early kills. S4 picks Puck, as if to prove a point. It comes down to a killer push by Na’Vi. S4 tries to evade getting picked off by Funn1k but can’t survive alone; XBOCT, Dendi and Puppey storm down mid and go straight for the barracks. They rush up the stairs into the base and take the third tower. S4 buys back into the game, but Na’Vi are unopposed: because Alliance are gone. Na’Vi’s killing blow sails in, and is met with air. Bulldog teleports to top lane and starts knocking down towers. EGM and Loda head south to do the same thing. The Swedes trigger the backup plan to their backup plan, abandoning their own core – and a key hero, in Puck – to expose Na’Vi’s ancient in a single move. S4 keeps them occupied until the point that they need to teleport back to defend. Then, he stops them. As Na’Vi bunch up to port back, S4 leaps in and uses his ultimate to pin them down. The psychological impact is immediate. Na’Vi stagger and Alliance takes two sets of barracks. Orange’s kYxY spent $350,000 on a single click. S4 earns $800,000 with another. A last-ditch attempt at Roshan is Na’Vi’s best hope at staying in the game, but they can’t risk making themselves vulnerable. Alliance reform and charge for the throne. They know they’ve won. Bulldog seems to be controlling his character by slapping the table and yelling. Na’Vi’s ancient explodes, and game five ends. In one booth, there is a lot of jumping and hugging. In the other, Na’Vi remove their headphones. Loda picks up the Aegis of Champions from its stand and lifts it into the air. He’s shouting over the crowd, but from the back of the hall it’s hard to tell what he’s saying. It’s something simple and monosyllabic, and it sounds a little like “Loda! Loda!” It would be un-Swedish of him to bellow his own name, but this would also be the time.